We are once again ready to welcome the groups from around the country to serve with Revive 225 this summer. Many of you have volunteered with us many times before, but some of you are new. Welcome to all of you! Here is what you need to do: pick a day, sign up, show up (instructions below), clean up, and then visit with our guests. It really is very easy. As soon as I know of any other dates that we will need volunteers, I will send out an update. Chef Kevin is cooking (Mondays, Tuesdays and Fridays), Food Crew will cook on Sundays and Thursdays (Sunday hamburgers and Thursday crawfish) and it is appreciated that the Food Crew brings desserts. The food crew serves the meal, cleans up the kitchen and fellowships with our guests. If you do bring a dessert, chocolate seems to be the favorite (brownies, cupcakes, cookies, etc.). Click on "Submit and Sign Up" below. Choose a date that works for you and add your name. You are the Face of our church. Let's make them welcome. Thank you to all who can help with this part of Revive 225. To remove your email from this group- email [email protected] with "Remove from Food Crew" in the subject line. Welcome, and thank you for helping us feed our out-of-town guests! From here is where you will serve in the evening. On Sunday evenings the Food Crew cooks hamburgers for the work crews. 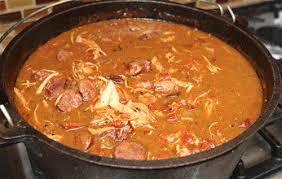 You will find a warmer in the kitchen by the gym, which holds the red beans and rice (Monday), jambalaya and green beans (Tuesday), and gumbo and rice (Friday). Salad for Monday, Tuesday, and Friday meals can be found in the walk-in refrigerator on the left hand side. Check either the warmer or the shelf on top of the stovetop for French bread or corn bread. Carts can be found in the area as well as oven mitts. You may borrow serving utensils from the kitchen, but please be sure they get placed back in the cleaning sink when finished. Thursday nights are crawfish boils at Hope Ministries. Food Crews will be helping with set-up and tear down, boil crawfish and fellowship with homeowners and Hope Community UMC. Dinner is served at 6:00. Give conservative portions to begin, and then offer seconds once everyone is through the line. If you or a member of tonight’s serving team has brought a dessert, it can be set out for them to help themselves. All leftover food can be placed in the youth pizza kitchen (2nd floor youth building) refrigerator and we will heat it up the following day for lunches. The teams do have chores, one of them being dinner cleanup (tables and floor). However, please help us make sure tables are wiped down and food is picked up off the floor. Once you are done cleaning, please visit and fellowship with our guests. Ask them about their day. Find out what they have enjoyed the most. Let them know the we appreciate their service. Each member of your group needs to register separately. It is requested that you bring a dessert to share. Chocolate seems to be the favorite dessert of choice. Thank you! Each member of your group needs to register separately. Thanks you! Each member of your froup needs to register separately. It is requested that you bring a dessert to share. Chocolate seems to be the favorite dessert of choice. Thank you!